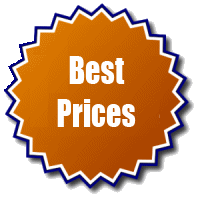 LegalWebPro takes pride in having the lowest prices for legal websites in the industry. When you become a LegalWebPro client, you get all of our features, a custom domain, custom email accounts, basic search engine optimization, access to the Design Team, and much more for only a one-time setup fee of $49.95 and a low monthly payment of $19.95 – guaranteed never to increase and with no long term contract. Simply enter your credit card information into our secure website and payments occur automatically.